If you do need a wrench, a standard spanner / adjustable probably won't fit well, so you would need a thin wall socket and breaker bar, and even that might be tough to get to fit. My approach would be to use a flat blade screwdriver or pry-bar and stick it in between the bolt head and the side of the fork so that the bolt head cams tight against it. The nut on top was a 5/8-18 nylok nut which measures 15/16". Problem is the way they designed the top of the nut well. I called 4 places and nobody had a thin wall socket. I went and got a Plumbers shower valve socket set since I remembered how thin the walls were on them, one of the sizes was 31/32 which is just slightly oversized, but it worked good for my specific application. My older brother is visiting me and provided the wrenching. We drilled out the stock 5/16" holes in the caster forks for the new 10mm bolt. It took 7 washers between the inside of the caster forks to the wheel bearing (6 of the 1/8", and 1 of the 1/16" thick . That made up the 11/16" space, as I had no one to machine a SS spacer, so I had to do the shade tree engineering method. There is only 1/4" or so of clearance between the tire and the inside of the fork. With the tire wobbling slightly, sometimes likely 1/8" of clearance. I need bigger diameter tires on the rear. I read that the shocks could be adjusted with a spanned wrench which will lower or raise the back end. Earth: The Insane Asylum of the Universe-nowhere else could things be more screwed up. are your anti tippers off the ground now or before you did any work ? i forgot - you have a new 636 chair ? I just found a shop selling sealants. Its brand is PFERD (German brand? UK made?). Each can is 430ml. The seller said it is enough for 2 car tires or 3 ebike tires. So I guess it is enough for 4 powerchair tires (90ml for a front tire and 120ml for a rear tire). Is it right? Is there any formula to calculate the amount of sealant for a tire? @expesso: do you remember how many ml sealant flux you put into each front and rear tire? As I understand, after adding sealant, you could inflate tires in a few weeks next. 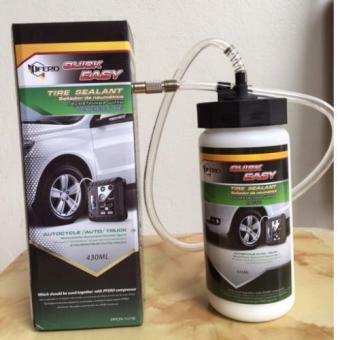 After that time, the sealant became curd, the valves were clogged and you could not inflate tires. The air in tires could not leak out neither. Is it right? Why wont you add sealant into the front tires? Is it because you cannot adjust their pressure after adding sealant? If they clog, just temporarily remove valve core, poke a bit of wire in... No big deal. snaker wrote: @expesso: do you remember how many ml sealant flux you put into each front and rear tire? As I understand, after adding sealant, you could inflate tires in a few weeks next. After that time, the sealant became curd, the valves were clogged and you could not inflate tires. The air in tires could not leak out neither. Is it right? Why wont you add sealant into the front tires? Is it because you cannot adjust their pressure after adding sealant? Burgerman wrote: If they clog, just temporarily remove valve core, poke a bit of wire in... No big deal. Please advise rim width for 3.50-8 tubeless tyre ; 2.5'' , 2.75'' , 3.5'' . shirley_hkg wrote: Please advise rim width for 3.50-8 tubeless tyre ; 2.5'' , 2.75'' , 3.5'' . 2.5, or 2.75 ok, 3 may be too wide and the rims which are 6mm thick (1/4, x2) mean that they may be wider or same width than the tyre. But you may get away with it as some tyres are wider than others! @ ex-Gooserider : seller replied it comes with 2.75'' rim . Good pick too . @shirley_hkg. I too want a pair. please. How would you like it , by sea or by air ? What is the O. D. Of the tire? 14 or 15 inches? 3.5 of tyre. + 8 of rim. + 3.5 of tyre on the other side. So 15. Burgerman wrote: 3.5 of tyre. + 8 of rim. + 3.5 of tyre on the other side. So 15. Thanks John, but I think I need a 16 inch od tire to restore the balance of my chair after putting those tall 3.00-4 front tires on my S-636. Got suggestions on a 16" tire for a 3.5" rim? Yes. But if you raise the height of your chair you will reduce stability in every direction. And the lateral direction, roll, (think airplane ailerons) will mean that you will lift weight off the casters intermittently and get caster shake problems. The 110 80 tyres are about 6.92 inches plus 8 rim. So that gives you less than 15... At 14.92 inches. The 120 70 tyres on my salsa are 5.67 inches plus 8 rim so that too is less than 15... At 14.67 inches. Only the horid 4.00 x 8 will give you what you need. at 16 inches. Of my 10 inch rims, with a 130 60 tyre. This give: 130mm x 70% = 91mm x2 (top and bottom) is 182mm, div by 25.4 to give inches, is: 7.16 inches of sidewall height, plus 10 inches of rim. So 17.16 inches... Total diameter. Bigger but fatter also . Looks like right at 15 inches( John was correct again), thanks for the pictures too. Now that I enlarged the image to see that it wasn't a 3.50 tire. Working out imperial tyres is easy. A 4.00 or 400 tyre is both 4 inches tall, and 4 inches wide. A 3.50 or 350 tyre is 3.5 inches wide and 3.5 inches tall. Its really that simple. So a 3.00 x 8 which is our stock tyre size is: 3+ 8 rim +3. Since that 3 inch tyre is top and bottom. So 3.00 x 8 is 3+8+3 = 14 inches. Easy no? These are the same thing. It means 4.1 inches wide, and 3.0 inches tall sidewall. So its the imperial way to describe low profile tyres. With sidewalls smaller than the width. So this tyre is, 3+4+3 = 10 diameter. Metric tyres still use imperial rim sizes. So a 130/50 - 10 for eg means that its a 130mm wide, and the sidewall is 50% of that, so it is half of the 130mm. So that means you have to convert the 130 div by 2 = 65. And to convert to inches you divide by 25.4... Which happens to be 2.65 inches. So we know the tyre sidewall height is 2.55 top, 10 inch rim centre, and 2.55 bottom... Total wheel diameter is then 15.1 inches. Unfortunately, nobody makes a tyre that size! 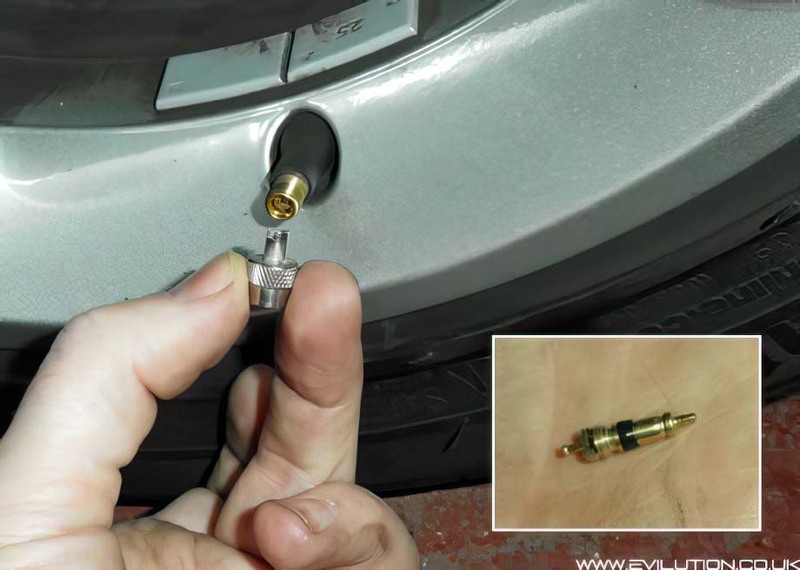 But the above lets you work out the outer diameter of all tyre sizes. To calculate diameter you need to know 70% of the 120mm width. (120/70 is 70%). 176mm in inches is 6.92 inches. + the 8 inch rim, is 14.92 inches. Or 15 if you prefer. Rear, ends up 27.5 wide. Just when I start comprehending things, then confusion sets in. In the pictures Shirley has, the bigger/fatter tires have 4.80/4.00-8 stamped on them. The picture with the tape measure show about 9 cm (3.5 inch) tall sidewall, or a 38-39cm od (15.35 inches). So wouldn't that make a 3.5+8+3.5=15 inch od tire? I'm just verifying computation as 38cm= 14.96" and 39cm = 15.35" as its hard to tell exactly what the reading is with the tape measure. So Shirley, does this bigger 4.80/4.00-8 tire come on a 3.5 inch rim? I noticed it has a load range C rating, wonder if the side walls are stiffer than a wedding night member?